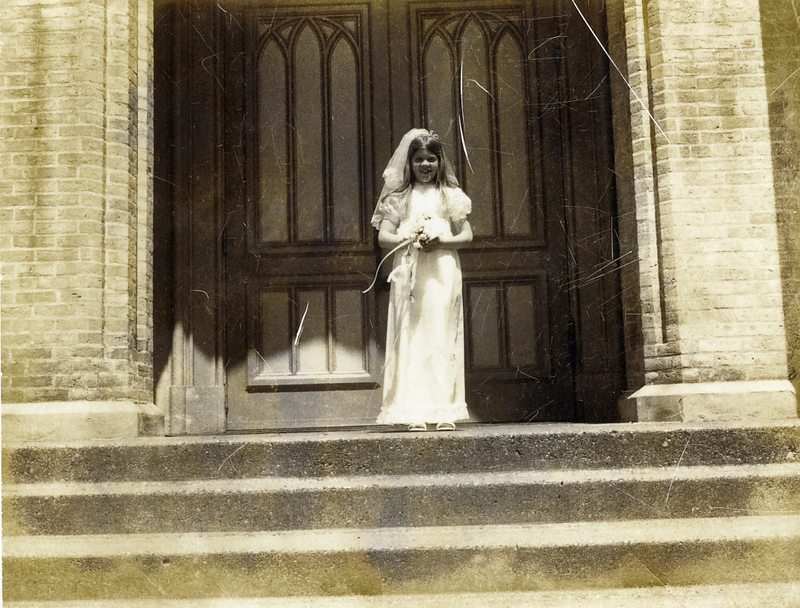 Christy Stewart, wearing a long dress with puffed sleeves, a headdress with a veil, and carrying a small bouquet, poses in front of the doors of St. James Church either before of after a wedding in the church. Title by cataloger. Christy Stewart was a member of her cousin's wedding party, Jack and Roseanne Stewart.